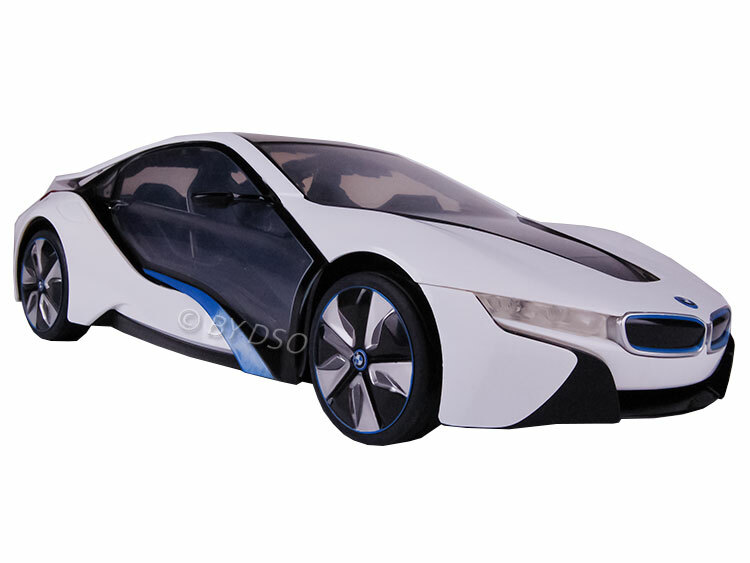 This amazing and realistic looking radio controlled Car 1:14 scale BMW i8 will provide hours of entertainment for adults and children. Working xenon style headlamps and Working rear lamps so it's great at night. BMW logos on front, rear and wheels and the Original style rims and pneumatic rubber tyres this is a great toy for any young person to own.